It’s been a terrific month of celebrating the joys of reading at home, in the classroom, and at the library! Every book read to and with a child enriches their life and helps to foster a life-long love of learning. Whether your child likes books that are fiction or nonfiction, stories or poetry, funny or poignant, there are a vast array of new and old books to teach them about the world and get them excited about being part of it. 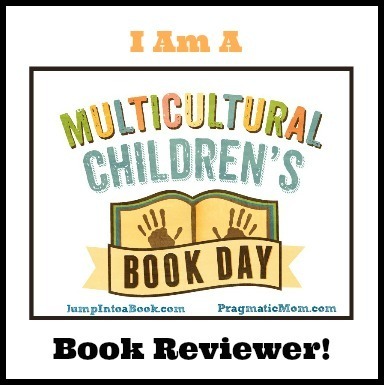 There really is a book for every child—as you’ll see in today’s review! I received a copy of Everybody’s Favorite Book from Imprint to check out. All opinions are my own. I’m thrilled to be partnering with Macmillan Publishing in a giveaway of the book. See details below. Image copyright Claire Almon, 2018, text copyright Mike Allegra, 2018. Courtesy of Imprint at Macmillan Publishing. Of course, a hero needs a villain to vanquish, and Bob is lucky because instead of a one-dimensional bad guy, he gets to pit himself against a fierce mash up of a robot, a dragon, and a pirate. What’s this horrible marauder’s name?. Are you ready? It’s Corky! So Bob and Corky fight. It’s thrilling…it’s dangerous…it’s stopped? Ah, the narrator sees now— “everybody doesn’t like violent books” and since this is Everybody’s Favorite Book, the story needs to be a bit more… Well, let’s see if Princess Glittersprinkles can help! Yes! A tea party would be splendid. Bob and Corky and the princess sit down to a lovely spread with the adorable but really, really, really, really BIG guinea pig, Snuggy. But, wait! We’re forgetting about babies. Baby’s love books too, right? Now might be a good time to offer a bit of ABC fun. “A is for Apple. B is for Bob.” By the way…where is Bob? Is that a suspicious bulge in Snuggy’s cheeks? Finding Bob’s going to require spies, especially cool ones. Now, while they’re out spying, let’s give it up for those teachers and librarians who love big, educational words like “Gallimaufry, Codswallop, and Frippery.” Sure, the narrator knows the definitions, but the book will be more fun and educational if you read them for yourself. Oh, dear! Are those words too educational? Then maybe a poop jok…wait a minute! Do you see a suspicious bump in Snuggy’s belly? No, me either. If this really is Everybody’s Favorite Book, it seems that “we are still missing so many things that everybody likes. Things like wizards! And a fairy tale!” And so many other characters and things to do…. Hey! Why is everyone fighting? There’s plenty of room for everybody, but right now “this is nobody’s favorite book.” What’s needed is a hero. “Oh wait! There’s Bob,” launching from Snuggy’s HUGE burp just in time! “Maybe he has an idea.” Bob suggests a “sweet ending.” This is more like it! All the hugs and smiles and cooperation is so sweet. Sweet, Snuggy. Not sweets! Oh dear…. Mike Allegra will have kids laughing out loud with every page turn in his riotously clever genre mash-up. Allegra’s well-meaning narrator offers up droll juxtapositions of characters and situations while riffing on favorite books and movies, fads and fantasies with some crafts, coloring, and craziness to boot. The fast pace, abrupt interruptions, and zigzagging storyline keep kids guessing and eager to find out what comes next. As the action devolves into a free-for-all, the promise of a book for everybody is fulfilled with inclusive hugs and teamwork. Claire Almon’s cartoon-inspired illustrations are bold, dynamic, and full of action with plenty of humor thrown in. Ingenious details, comically used tropes, and familiar styles of graphics from kids favorite TV shows and movies give young readers a feeling of shared experiences and culture that underline the theme of friendship. Readers will love following Bob’s journey to escape from Snuggy’s belly, and cutaways and character involvement from page to page keeps everybody reacting to the narrator’s directions until the big finale. For book lovers of all stripes, Everybody’s Favorite Book will be a much-asked for addition to home, classroom, and library bookshelves. The book makes a terrific gift for all those readers on your list. Discover more about Mike Allegra, his books, and other projects on his website. To learn more about Claire Almon, her books, and her art, visit her tumblr. I’m excited to be chatting with Mike Allegra today about his inspiration for his most original book, what kind of mash-up character he’d be, and his role in a family holiday tradition. What was the inspiration or spark for Everybody’s Favorite Book? And Bob the Space Ninja Cow was born. Then the creative floodgates opened wide. I giddily zipped around the children’s section looking for characters and genres and themes I could shoehorn into a single picture book. It was a blast! If you were a mashup hero like Bob or even a mashup villain like Corky, what would you be? What would your name be? I would want to be a mastodon-sized guinea pig like Snuggy. And I’d want to fly. And solve mysteries. And they would call me Wondersnug, The Flying Pigamajig. You’ve done a bit of everything in the writing field—plays, journalism, essay-writing, communications, editing—what do you like about writing for children? Writing for children is like giving yourself permission to let your creative spirit soar. The possibilities are almost endless. I can write about a Space Ninja Cow! Or a dragon who knits! Or a boy who turns into a Kafka-esque giant bug! My mind can move in the wildest, weirdest directions. It’s wonderful. You wrote so much as a child that a teacher predicted you’d become a writer. Was your work always funny? No, but I always tried to make it funny, which is not the same thing. My sixth-grade teacher, Mrs. Snelback, was the first person outside of my own family to say that I could write “funny.” And Mrs. Snelback was not one of those teachers who spouted compliments. Quite the opposite, really. She was pretty miserly, compliment-wise. So when she told my parents that I should pursue a career as a writer, it really meant something. Mrs. Snelback didn’t say anything unless she absolutely, positively, 100% believed it. That’s why Mrs. Snelback will always be my favorite teacher. She shoved me onto the writing path and it has been an amazing journey. How do you tap into the humor and rhythms that really make kids laugh? I’d love to say something profound here—like: “I try to see the world through the wondrous eyes of a child”—but the truth is a lot simpler: I like writing silly things and kids like reading silly things. So it works out for both of us! I love hearing about how holidays inspire picture books. Can you talk a little about your first published children’s picture book, Sarah Gives Thanks: How Thanksgiving Became a National Holiday? Ah, the great Sarah Josepha Hale. She is so awesome. She was a celebrated and prolific writer. She edited the most widely read magazine in America. She founded charities, led patriotic fundraising drives, championed college educations for women, and used her magazine to influence public opinion on a wide spectrum of topics—the most famous of which was a nationalized Thanksgiving, which at that time was rarely celebrated outside of New England. And she did all these things in the early- to mid-1800s, when women were widely seen as second-class citizens. And she also did all of these things while raising five children by herself! Once I learned about Sarah, I just had to write about her. This summer two books in your Prince Not-So-Charming series were released. Can you introduce readers to this prince with other dreams and the very capable princess he encounters? Prince Carlos Charles Charming is the young prince of the happy and peaceful land of Faraway Kingdom and the sole heir to the kingdom’s throne. But Carlos would much rather be a jester, so he’s forced to live a double life of sorts, performing dangerous princely duties to satisfy his mom and dad (the queen and king) while also searching out venues to perform his juggling routine and road-test his impressive collection of fart jokes. Princess Pinky, from the neighboring kingdom of Ever After Land, is in a similar situation; she would happily give up her crown to be an artist. Any sneak peek into the prince’s future? Carlos is going to be very busy. In future books he’ll joust, get turned into a frog, lead a search-and-rescue expedition, and attempt to stop a war. Well, I have another picture book coming out in March titled Scampers Thinks Like a Scientist, which I’m excited about. I just recorded the audiobook for it—which is either a good thing or a bad thing depending on what you think of my voice. I’m also writing a middle grade murder mystery novel. I love Christmas, but as I get older, I find myself gravitating toward holidays that contain a lot less hoopla. Thanksgiving is the holiday for me. I get to eat my favorite food on a crisp fall day. (Oh, how I love the fall with its pumpkin-spiced everything!) Also, I was born on November 25th, so I can celebrate my birthday on Thanksgiving, too! Thanksgiving is pretty much perfect. In other words, Sarah Josepha Hale was a very wise woman. Do you have an anecdote from a holiday that you’d like to share? Sure! When I was a kid, every Christmas the entire family would assemble at my grandparents’ house to open presents and eat dinner. No joke; this happened every single time for every single present. The problem, as I saw it, was that it these responses were too disorganized; everyone was ooh-ing and ahh-ing over everyone else. It was a big ol’ mess of noise. So I stood up and asked if I could conduct my family’s reactions like Leopold Stokowski. They happily agreed. So whenever a present was opened, I would wave my arms to cue the “Ooh-ers,” the “Ahh-ers,” and Grandma’s “Isn’t that nice!” I never felt more powerful in my life. More importantly, almost everyone in the room was practically peeing their pants laughing. And, from that point forward, an Allegra Christmas tradition was born. To be entered to win, just Follow me on Twitter @CelebratePicBks and Retweet a giveaway tweet during this week, October 30 – November 5. Already a follower? Thanks! Just Retweet for a chance to win. Quote your Retweet with your favorite kind of book for an extra entry. A winner will be chosen on November 6. Giveaway open to US addresses only. | Prizing provided by Macmillan Publishing. There are all kinds of books for every reader. Find your favorite along with twenty favorite genres in this printable puzzle. Doncha hate when you lose something? You know…you just had it and now it’s nowhere to be seen. Where is it? The last place you look, of course! But what if you never find it? Perhaps someone else found it and turned it in to a lost and found department. Oh, it’s all very disconcerting. Don’t give up hope! Today’s holiday was established just to give people an opportunity to really stop what they’re doing and look for that long-lost object. Did you know that Napoleon Bonaparte was the mastermind behind the idea of a Lost and Found? In 1805 he opened the world’s first Lost and Found Office in Paris and encouraged people to bring in items they found in the street. From there the idea spread! So if you’ve lost something, take a bit of time today to find it! Copyright Brian Won, 2017. Courtesy of brianwon.com. So Turtle and Zebra and Owl took off with their books in tow to find Giraffe. Giraffe had a stack of books, but had already passed on Turtle’s book to someone else. Giraffe did have a rollicking roller skating book, however, if Turtle was interested in that one. Turtle was having none of it, and suggested that maybe Giraffe had “shared it with…Elephant!” With Owl carrying the tall stack of books with a little help from Giraffe, and Zebra happily reading the roller skating book, Turtle led the way to Elephant’s house. Elephant did not have Turtle’s book either. “‘It was a very good story,’ Elephant said. ‘Now I can share these with you.’” Elephant held up a book about juggling. Turtle was growing dejected. He wondered if Elephant could possibly have shared it with Lion. Just then Lion approached carrying a very, very tall stack of books. Turtle was so excited to see his own book at the bottom of the pile. He rushed over and pulled it out, sending the rest of the books flying. Brian Won’s sweet group of friends return in a story of togetherness and the joys of sharing favorite books. Won’s dialogue-rich text makes this a perfect read-aloud that allows little ones to join in on the repeated phrases, are full of the emotions that children will recognize. The gentle suspense that propels the story is delightfully cheerful with “Hoorays” and smiles and humor as the friends’ pile of books grows with each stop. Won’s ending is comforting and satisfying, allowing young readers to see that they can enjoy their own favorites and share in the favorites of others as friends build strong bonds. Children will be happy to see Won’s familiar characters in another adventure. The enthusiasm of Zebra, Owl, Giraffe, Elephant, and Lion to help Turtle is infectious, and readers will giggle at the precarious pile of books that grows and grows. Kids will love predicting what will happen to that stack. As Turtle searches his home for his book, kids will recognize and be happy to point out items from Won’s Hooray for Hat! and Hooray for Today! The final two-page vertical spread is an adorable celebration of story time and friendship. Hooray for Books! is a joyful addition to any home or classroom bookshelf and would make a fun gift for inspiring many story times to come. Discover more about Brian Won, his books, and his art on his website. Books are great to share with friends, but sometimes it’s hard to remember who you’ve lent them to or who you’ve borrowed them from. 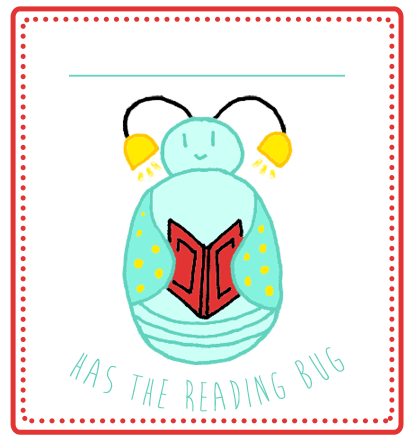 With this printable personalized I Have the Reading Bug Book Plate, you can make sure your books never get lost!